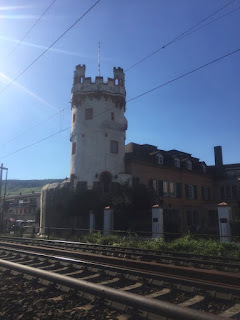 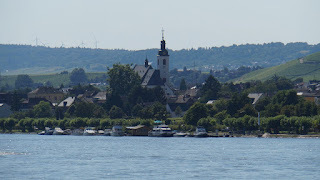 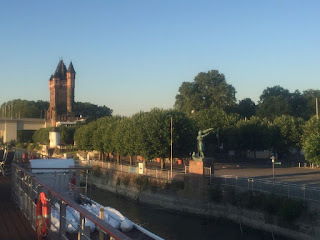 and the ship was leaving soon after, heading Northeast to Rüdesheim. 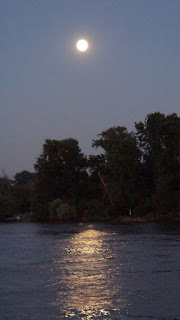 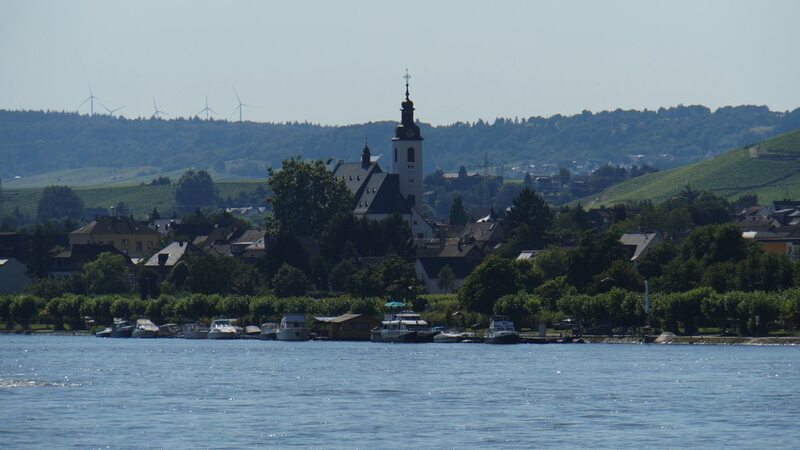 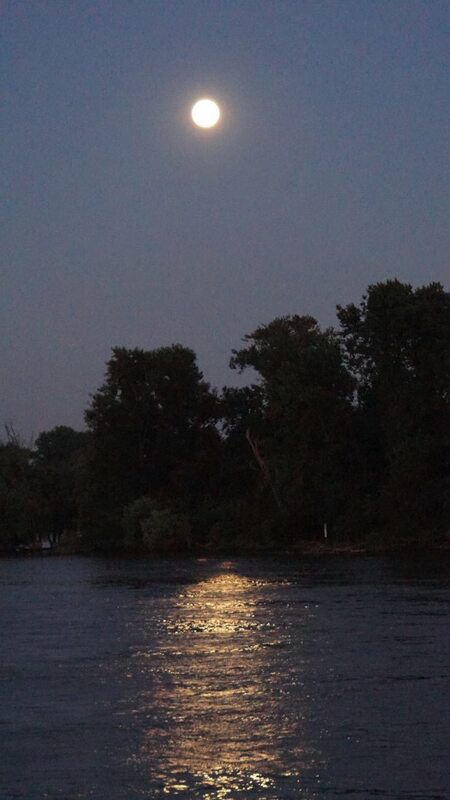 Fortunately they were staying the full night in Rüdesheim, so it wasn't like we had to get back at a certain time. 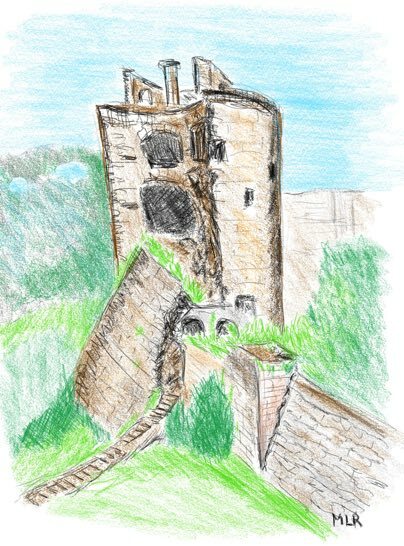 Having been to the castle before, it was a sense of deja vu; although the tour focused on the older sections of the castle, which are more photogenic anyway. 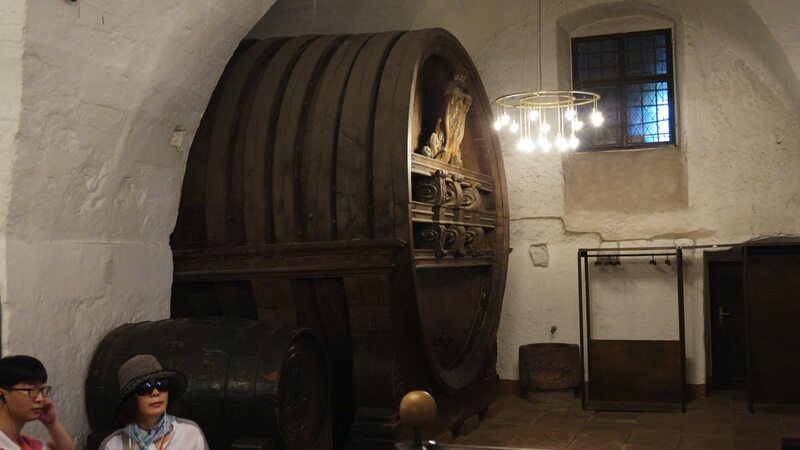 We did see the largest wine barrel ever constructed. 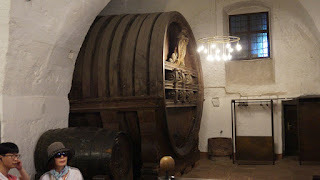 No it's not the one in the photo, but as there was no one in the photo to show the scale, this picture is used instead; the actual wine barrel was at least twice as tall. 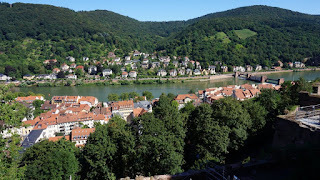 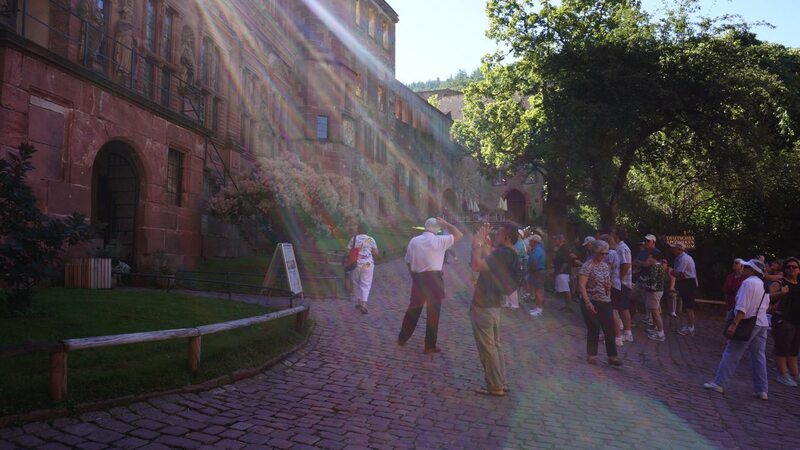 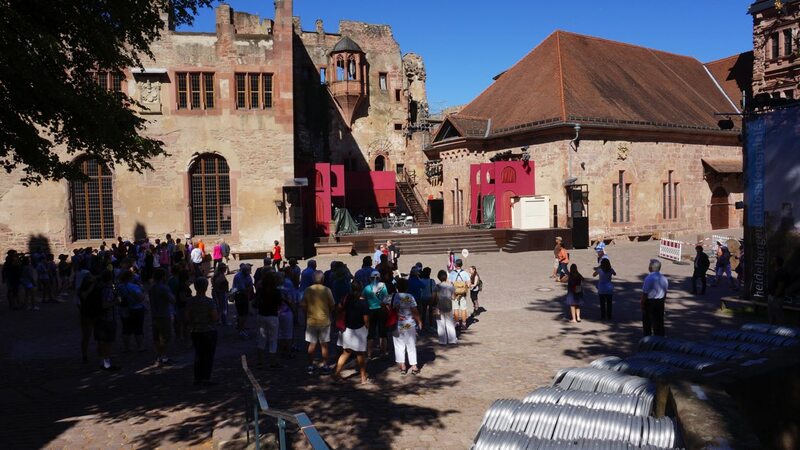 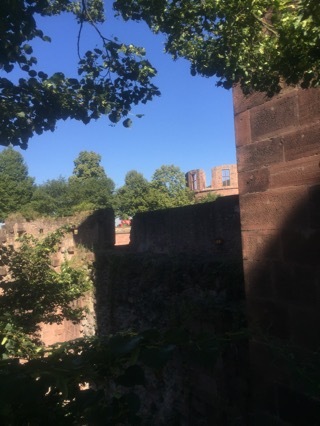 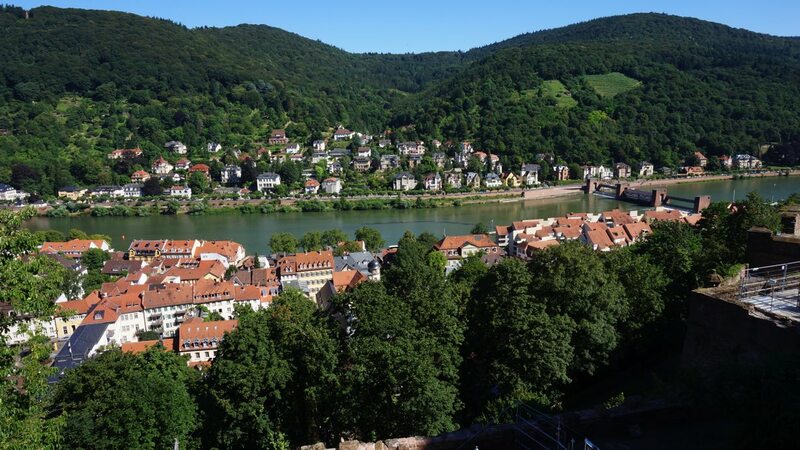 After a brief tour, and some amazing bus driving, we were dropped off near a part of Heidelberg, near the river. 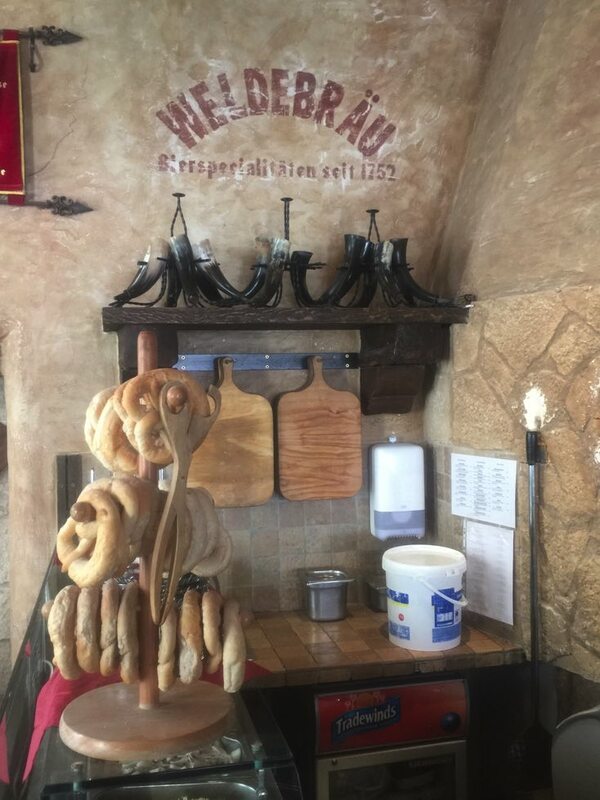 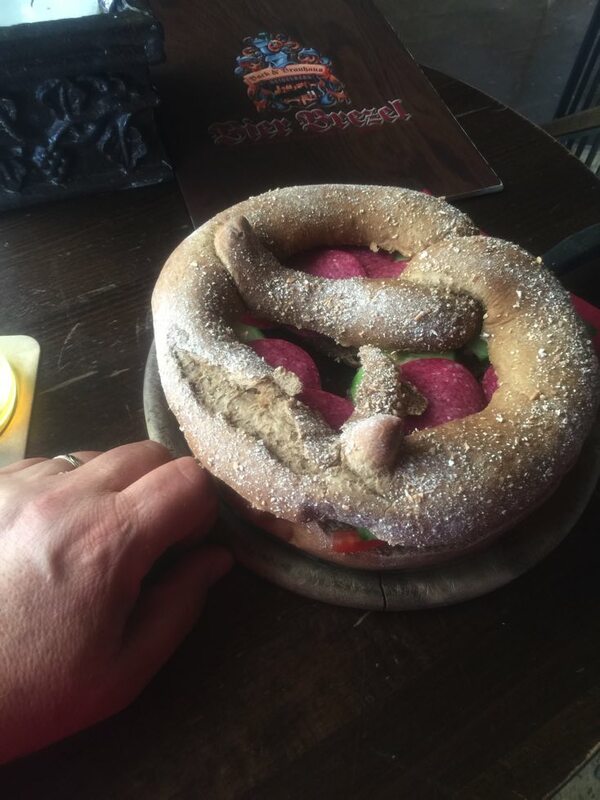 To note, the pretzel for a snack may have been intended for a full meal, or a group appetizer. 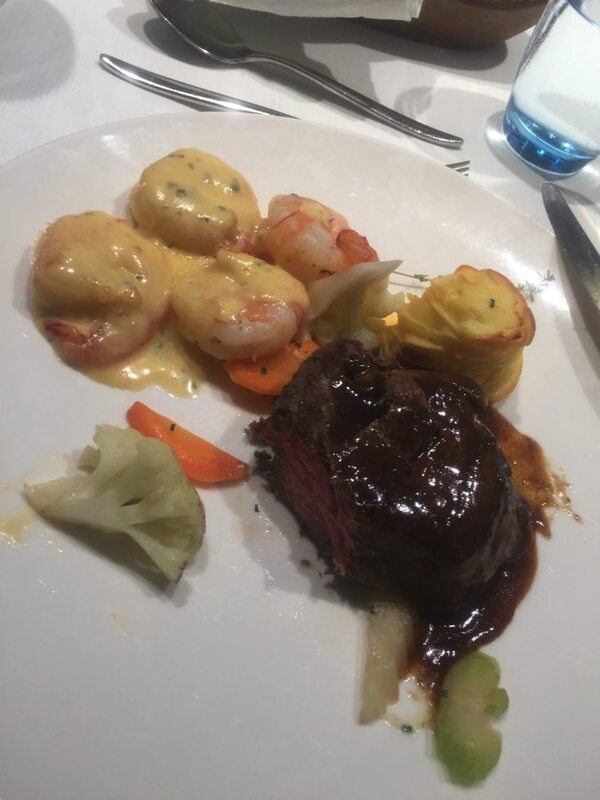 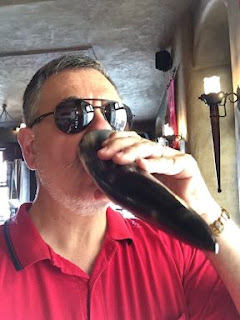 The Schwarze Wonne was served in a horn, Yes, a freaking horn! 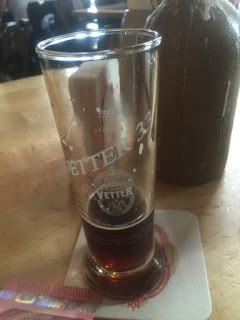 Then to the Vetter brewhouse, to re-sample the classic Vetter 33. It was as good (or better) than I recalled, and for my purposes for tracking I'll call this the "2016 vintage." 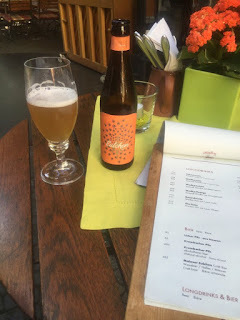 Also had the Saison, which was not on Untappd. 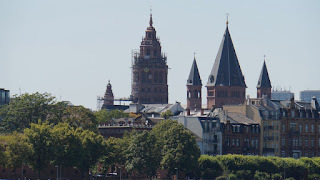 We made it to the ship which was now in Gernsheim, for a late lunch, accompanied by cruising up the Rhine. 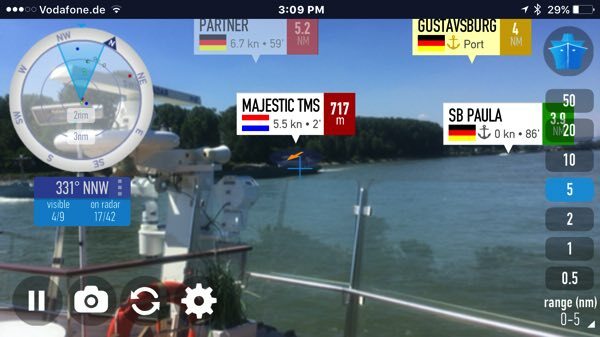 Used an App called MarineTraffic to identify other ships in the area, the "augmented reality" feature identifies the ship you are looking at. 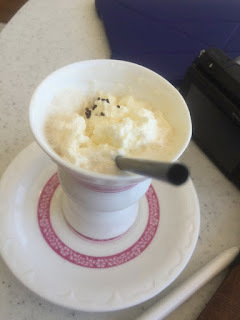 Along the way we were given "Rüdesheim coffee" - which like its Irish relative - has liquor added. We arrived in Rüdesheim near the city pool/park, and also a fire! 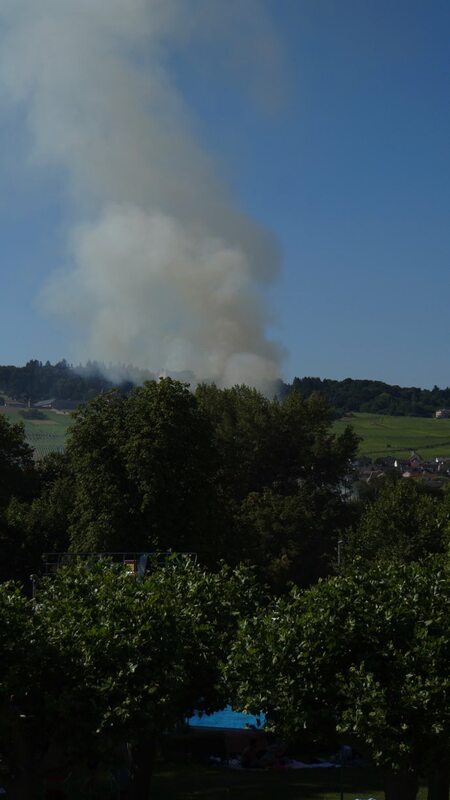 Could not tell what was burning, but given the locale one presumes a house? 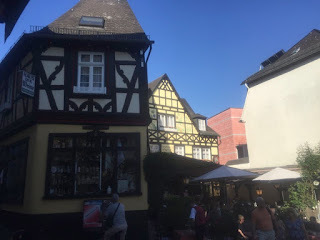 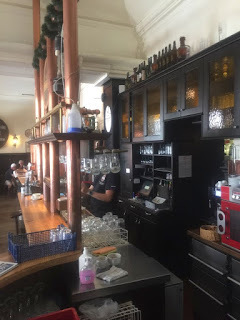 Before dinner, walked about a mile into Rüdesheim, but only found one place with craft beer; the rest selling you basic German mass-market lagers, the "Buds and Millers" of Germany.